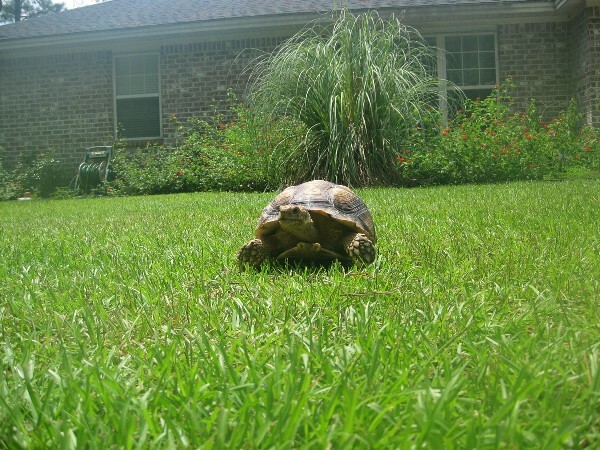 Our Sulcata is just over 4 years old and spends the summers in our backyard (SE Georgia). His Scutes have some irregularities in them, however I noticed yesterday there appears to be some de-lamination on one of the scutes. After spraying him with a little water while he was eating I noticed that pushing on one of the front scutes that it appeared to move and water seeped out from under the scute. How concerning is this?